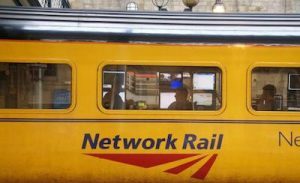 The capacity enhancement programme being carried out by Network Rail has been financed by a mix of Government grant and borrowing from the private sector but in September 2015 the Office of National Statistics reclassified NR as part of the public sector. This has meant that borrowing of close to £40 billion is now considered part of the national debt. The decision prompted the Government to appoint HS1 Chief Executive Nicola Shaw to consider the options for the long-term shape and funding of NR working with Sir Peter Hendy the newly appointed NR Chairman, in formulating recommendations. It is not proposed that any new Government agency is created to oversee strategy but it is considered that the Department for Transport should formulate a long-term vision for the railway based on the views of the National Infrastructure Commission, passenger and freight operating companies, NR, Local Government, the supply chain and end users. The aim should be to identify priorities for the industry over the next 30 years to provide context for future decision making. New ways are required to pay for capacity growth. The Government is fiscally constrained and has to make difficult decisions about what railway schemes it can afford to fund. The private sector therefore has a part to play in supplementing the resources available to invest and grow the railway to meet social and economic needs. The report team dismissed privatisation of the whole company (NR) and instead focussed on solutions that may be appropriate for parts of the network or specific enhancement projects. Options to introduce private capital will be focussed on concessions or time limited licences. An early assessment based on the current financial performance and anticipated enhancement requirements concluded that the Anglia and Wessex routes offer the best prospects for private sector involvement, although there is also seen to be an opportunity for external investment in upgrading the South Wales Valley Lines. Decentralised management is already being introduced by NR based on the route structure. The objective is to respond better to the needs of customers whether these are the operating companies or passengers and freight users. The report says that route autonomy should be pushed further operating as individual divisions with separate regulatory settlements and benchmarks for performance. As well as Scottish Ministers determining rail policy, the Government in Wales, Midlands Direct, Transport for the North, and Transport for London are structures that will allow varying degrees of future local policy input. Some change to the route management structure is recommended to reflect the development of these organisations and a new Northern route is to be established to align with the political and economic geography that exists. This will replace the overall management of the East and West Coast main lines and subsidiary routes that currently exists. It is not considered that a future London route structure is a deliverable proposition.